(Bloomberg) -- The head of Qantas Airways Ltd.’s international business, Alison Webster, resigned after less than 18 months on the job. Webster, among potential successors to Qantas Chief Executive Officer Alan Joyce, is leaving at a critical time for the high-profile division. Qantas plans to start groundbreaking non-stop flights from Sydney to London and New York by 2022 and is weighing aircraft purchases for the ultra-long haul service. 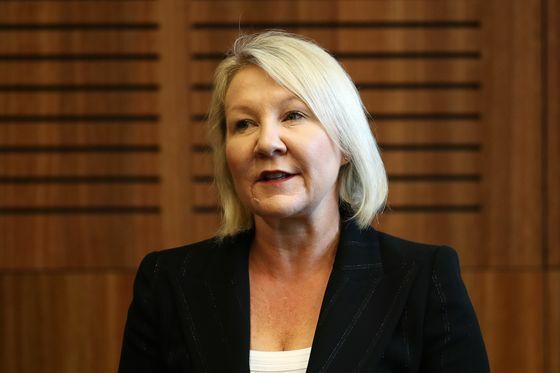 Webster had been CEO of the division since November 2017 and oversaw Qantas’ first direct flights between Perth and London the following year. Narendra Kumar, the unit’s former chief financial officer, will run the business until a permanent appointment is made, Qantas said in a statement Thursday. Qantas’s international business bore the brunt of higher fuel costs in the second half of 2018 and profitability at the unit narrowed.